On the 16th of February, we told you about the Power To Switch campaign being launched by the Department of Energy and Climate Change (DECC). The plan was to encourage as many citizens to switch as possible. A staggering £2.7 billion was being overspent on energy due to consumer’s not switching tariff once they were placed on the standard rate. One month and 130,000 homes switched later, £38million has been saved in the UK. The 4-week campaign was shown on a variety of media platforms from viral, print to television. Since the campaign, figures provided by Ofgem show that there has been a total of 193% savings. 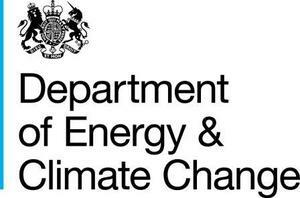 The DECC Power To Switch website has generated more than 350,000 visits. Resulting in an average saving of £312 per household. Scott Byrom, energy expert at UKPower.co.uk, said “The ‘power to switch’ campaign has been a revelation to the energy market to help drive engagement and help consumers “be an energy shopper” to save on their home energy bills. Price comparison websites have been promoting the benefits and savings available for years but the government’s stamp of approval has really cut through to improve the appetite for consumers to switch and find a better energy tariff. The momentum is now with us the consumer and so it’s on us to ensure we keep this going to truly drive this market forwards. In doing so, we’ll drive competition by keeping suppliers on their toes forcing them to up their game in terms of both price and service. Let’s hope this is the start of a new chapter for the energy switching market and that we see similar campaigns of this nature in future."